Nicola is CEO of Simply Sustainable. She has 20 years’ experience in sustainability and responsible businesses having worked for some of the largest companies in the world. 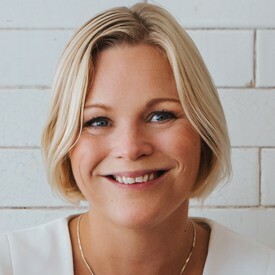 Nicola founded Simply Sustainable in 2010 and it is now the UK’s fastest growing sustainability consultancy, offering top class practical advice, generated from the substantial in-house corporate experience. Simply Sustainable is proud to hold the edie 2017 SME Consultancy of the Year Award. My team and I were proud and honoured to win the SME Consultancy of the Year Award at the Sustainability Leaders Awards 2017. But both prior to and post our edie Award success, people have asked me: "What is your take on sustainability now and in the future?" My response is that my vision has, and will always be, that through businesses and brands, we have the ability to create positive social and environmental impact. But we can’t do this alone: the Simply Sustainable brand USP is that we bring clients from different sectors together and share and collaborate with them. I have always held the belief that all businesses can be sustainable. They can all be of benefit to society and the environment - or else risk their profit in the future. This is not a new concept but what is becoming the new, accepted norm is that we are currently experiencing a period of tremendous societal and environmental change. We are seeing the impact of human activity on the environment with localised flooding, desertification and its impact on society. We are experiencing the impact of the disparity between the haves and have nots, and how that plays out in politics. As a result, large well-known companies are increasingly asking Simply Sustainable how they can help and make a difference in the swell of sea-change that’s happening around us now. We explain to them that sustainability is ultimately about optimism and a fundamental belief that you, we, can do better. And businesses need to adopt this exact same point of view. Take what JP Morgan Asset Management has done as a case in point. The company has formed a leadership team to create a sustainable investing strategy in order to help clients achieve their environmental, social and government investment (ESG) goals. JP Morgan believes that companies with effective governance and superior management of environmental and social issues tend to have better profitability, operating performance, and lower costs of capital than those who do not. The company will help clients drive change by highlighting the importance of looking beyond quarterly capitalism to entrench ESG considerations into corporate strategy. If businesses want to be profitable they would do well to take a take a look at this approach and the message which it supports. Ultimately, I think there has to be a change in mindset around sustainability, with companies understanding that if they not operate sustainably they may face challenges down the line. Having a sound understanding of organisational goals and how they relate to sustainability is essential. Some of the world’s biggest companies create frameworks that use societal value and human values as decision-making benchmarks. They believe that businesses have a purpose and meet stakeholders’ wishes in a variety of ways whether that’s by producing goods and services that improve the lives of people that make them and by helping improve workers’ quality of life, or by having a strong network of suppliers and business partners. I think we sometimes forget the examples in business history of industrialists who developed lasting corporations that were also great social institutions. Take the Tata family in India that established the steel conglomerate as one such example. Globalisation has in many ways resulted in companies becoming detached from their immediate society, but I think many companies are already taking note of companies like Tata whose success is deeply rooted in its founder’s philanthropic and sustainable mind set. So, whether it is Tata or JP Morgan Asset Management, both companies serve as models for action for more and more companies as to how businesses can change the world in which we live and make it sustainable. They are prime examples of what my team and I at Simply Sustainable share with clients about how companies with a sustainable mind-set carry the potential hallmarks for success. These, underpinned by encouraging clients to think ‘long-termism’ in their business planning and decision-making are key messages we will champion this year and indeed every year. We think they form the foundations for the delivery of successful sustainability initiatives. And now, more than ever in today’s fast changing, unpredictable world, business leaders need to detect and address potential long-term trends and issues and know how best to work with them.